Most people do not need a precision computer interface. They are not engineers. When you consider the rapid adoption of tablets like the iPad and smartphones like the iPhone and Android, how much longer will we be using the computer mouse? Even if your primary computing device is still a full-fledged computer, it’s increasingly likely to be a laptop and not a desktop, and most laptop users have become accustomed to the trackpad instead of an external pointing device like the mouse. When you consider the rapid adoption of touch screen devices along with younger generations who are more likely to interact exclusively with these devices, it’s not hard to imagine a not too distant future where software is increasingly designed with a “tap and gesture” in mind instead of a “point and click.” But even the touch screen interface could be a stepping stone to the next generation of computer interfaces. John Underkoffler, a former MIT researcher who was the adviser for the high-tech wizardry that Tom Cruise used in “Minority Report,” says that the transition [to interfaces that replace the mouse] is inevitable and that it will happen in as soon as a few years. 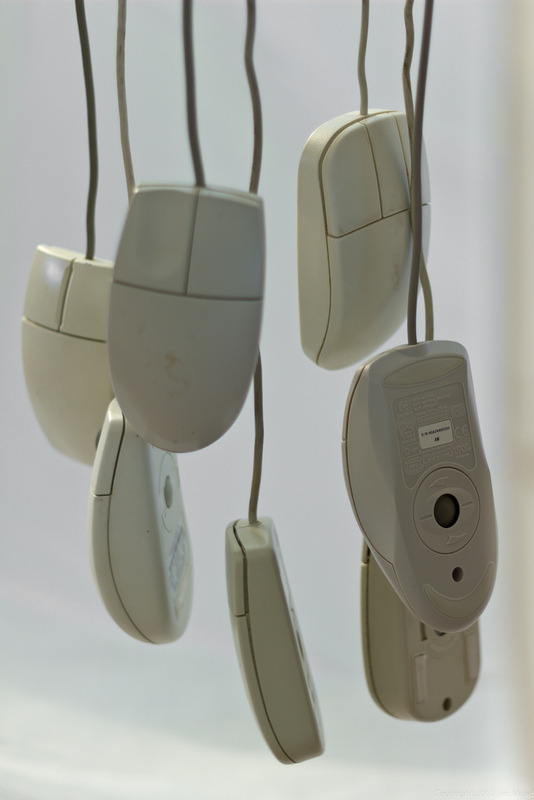 The reason the mouse has lasted so long is that once you use it, it becomes an extension of your body. You almost forget it’s there. It’s almost like you are moving the cursor on the screen with your mind. That might sound like and over-the-top explanation, but that’s how any tool works. Once you master the tool, the way you interact with that tool becomes secondary to the job. With the mouse, you are able to get the job done without much thought of the tool and it’s use. I believe touch based interfaces are only the first step. And I agree with Underkoffler, the holy grail of computing interfaces is open-air gestures combined with voice recognition. But this method of interfacing needs to work just as seamless as the mouse works. It needs to become an extension of the body. We already have both of these technologies. Modern game systems like Microsoft’s Xbox with its Kinect interface allow gesture based interaction. And voice recognition has been around for decades, but it still doesn’t work the way it does in science fiction movies. But both of these technologies are constantly improving and evolving.